Did you or your loved one receive a Stryker hip replacement that resulted in complications? Munley Law is currently reviewing potential lawsuits stemming from defective Stryker hip implants. The defective implants have an abnormally high rate of failure, and have caused hip replacement patients nationwide to experience severe pain, lack of mobility, toxicity-related illness, and additional surgeries. If you or someone you love had a Stryker hip replacement and suffered from serious complications, contact a medical device lawyer at Munley Law for a free case evaluation. The product liability lawyers at Munley Law have decades of experience handling complex cases against major manufacturers and medical device companies. Our own Marion Munley was named “Product Liability Lawyer of the Year,” 2017, by the esteemed legal guide Best Lawyers. We have achieved numerous multi-million dollar verdicts and settlements on behalf of our injured clients. We can help you recover compensation for your medical bills, pain and suffering, and other costs. To find out if you have a case, fill out our contact form or call (855) 866-5529 today. The consultation is free, and we do not collect a fee unless we win your case. What prompted the Stryker hip replacement lawsuits? Some hip replacement implants made by Stryker Orthopaedic have shown a higher than normal failure rate. In 2012, Stryker recalled the Rejuvenate and ABG II models after they were found to corrode inside the patient’s body, causing muscle and bone damage. In 2014, Stryker agreed to a $1.5 billion settlement for claimants who had to undergo revision surgery due to their defective implants. Now, another Stryker metal-on-metal hip device has come under recall for serious complications. The problem lies with a component of the hip implant called the LFIT Anatomic V40 femoral head, a ball-shaped component that mimics the upper femur where it connects to the hip socket. The LFIT V40, found in several Stryker implant models, may corrode, fall out of place (“taper lock failure”), or break. Tens of thousands of hip replacement recipients nationwide may be affected. Lawsuits allege negligent design and manufacture of the femoral heads and hip replacement implants, failure to properly test the implants for defects, and failure to warn doctors and patients about the risks. Which hip implants are under recall? Other hip replacement models may be affected as well. 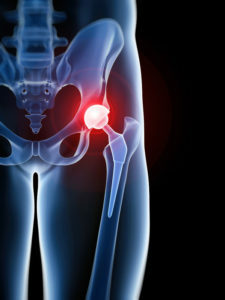 A Stryker hip recall lawyer can help you determine if you qualify. How do I know if I have a recalled Stryker hip implant? Many people who underwent hip replacements in the last several years suddenly feel afraid after learning about the Stryker hip recall, and understandably so. You may not know or remember what type of hip implant you received. If that’s the case, don’t panic. There are a few steps you can take to find out whether your hip implant is among the recalled products. First, call your doctor. Set up an appointment with the surgeon who performed your hip replacement to get further information about the implant that was used. If you received a Stryker Rejuvenate, ABG II, or Accolade, your surgeon should be able to tell you. At this appointment, you can ask questions about any new safety information that may have come to light regarding your hip replacement device. Be sure to tell your surgeon about any pain or discomfort you have experienced. Second, request a copy of the operative report. Specifically, make sure that you get a copy of the “product identification stickers page.” This will have the hip implant brand name, model number and lot number needed to determine for sure if your hip implant has been recalled. Once you have identified which hip replacement implant you received, you can check the manufacturer’s website for active recalls. The Food and Drug Administration (FDA) may also provide warning information about safety concerns associated with medical devices, whether they have been recalled or not. Still not sure if you have a recalled Stryker hip implant? Contact a Stryker hip recall lawyer at Munley Law. A product liability lawyer can review these reports to determine whether your implant poses a danger, or help you to obtain the necessary documentation. In any case, if you have experienced pain or other complications after your hip replacement, don’t hesitate to consult with a product liability lawyer at our office. The defective Stryker hip implants have caused serious complications and injury to patients nationwide. The LFIT V40 femural head, which should last 15 years or more, can wear down and break in just a few years. The corrosion has caused hip replacement patients to suffer chronic pain, immobility, broken bones, muscle and bone loss, as well as chromium and cobalt metal poisoning. Even patients who underwent revision surgeries continue to suffer from long-term complications. If you have experienced any of these symptoms in the months following your hip replacement, a defective hip implant may be to blame. Your doctor can perform a blood test to check for metal poisoning. Product recall cases can be extremely complex, especially when they involve medical devices. Our product liability and medical attorneys have decades of experience with these types of mass tort cases. We have achieved some of the largest settlements and verdicts in the United States. Contact us today for a free consultation. We will review the details of your situation, answer your questions, and help you determine what to do next. Call us at (855) 866-5529 or fill out our contact form. How much does a Munley Law Stryker hip lawyer cost? At Munley Law, we believe in justice first and foremost. Those who have suffered physical, emotional, and financial damages should not have to go into debt in order to get the justice they so rightfully deserve. That’s why we work on a contingent fee basis. This means that we only collect a fee for our services if we win your case. You pay nothing upfront or out of pocket. And, our fee (a percentage of the settlement or verdict) will never exceed the amount paid to you. Call, chat live, or fill out our contact form today for a free case evaluation with a Stryker hip recall lawyer.